Dexamenes Seaside Hotel is located on Kourouta beach on the western coast of the Peloponnese in Greece and it will open May 2019. The hotel has been created on the site of an abandoned winery. The derelict, industrial structures that characterize the site have been left relatively untouched since the 1920’s but Nikos Karaflos, a visionary entrepreneur-turned-hotelier changed that! The old tanks have been converted into 34 guestrooms, many of which have a private patio overlooking the sea. The design with a lot of steel, glass, concrete and timber, is led by K-Studio. YouTube has been a source of inspiration for spotting trends past few years. Every day, thousands of movies are uploaded with new and interesting content. We too sometimes use videos as a source of inspiration to write about. With this week again a selection of videos which Demi Poppe thinks are worth it to watch. Pizookie | Pizza, cookies and vanilla ice cream! This week a video about the popularity of the Brussel sprouts on the American menu’s and part of the sprout are harvested in the Netherlands. Also a video about the tentacle of an octopus that is sold as a corndog. A new creation by the team of the Dominique Ansel restaurant and bakery in Los Angeles. Finally, a video about oysters, why do we eat them alive and more information. This week, among other links to articles about Ralph Lauren that opens a Pop-up Café during the Paris Fashion Week and last week it was World Pistachio Day! A link to an article about the Doritas towel bag and restaurant Feva serves ‘Fried Air’. YouTube has been a source of inspiration for spotting trends past few years. Every day, thousands of movies are uploaded with new and interesting content. We too sometimes use videos as a source of inspiration to write about. With this week again a selection of videos which Demi Poppe thinks are worth it to watch. Among other things, a video about the FlyZoo hotel that is totally taken over by robots and face scanning computers. This week, among other links to articles about a drink making ‘cab’ called Guido, you can call this ‘bar mobile’ to make you a cocktail with an app! And ever heard about Zorbing, we loved the video and regret the fact that we hardly have any hills in the Netherlands. A link to an article about Jianbing, a popular Chinese street food is becoming a popular lunch dish in New York City, and we understand why! In addition to that an article with some background information about ‘The Basque Culinary World Prize 2019’ that will be held in San Francisco later this year. Last year AccorHotels launched their Flying Nest concept. With its bold design, this new concept of mobile and sustainable accommodation is in line with AccorHotels’ innovative approach of constantly rethinking tomorrow’s hospitality in response to a strong trend, that of guests expecting to enjoy exclusive and intense experiences. Free tampons and naps in the bathroom | Women love it! Demi Poppe blogs about her experience with extra amenities, such as free tampons and naps in bathrooms. She and her friends greatly appreciated this welcoming gesture. I regularly visit restaurants, cafés and bars with friends, either for lunch, dinner or just a nice cup of coffee. I recently visited Grandcafé ‘t Gerecht in Heerenveen (The Netherlands). One of my friends had to go to the toilet and she came back with a big smile! She said that there were free tampons and naps in the bathroom. So handy! This week, among other links to articles about BeerYoga, DOT in Groningen, a Moët & Chandon vending machine and Amazon is testing delivery robots in Seattle. We spotted a new street food concept in Paris, Magnà Street Food sells ‘Rotolo’ and the ‘Portoglio’ pizza. And a link to an article about the World’s 50 Best Restaurants, in January they introduced radical changes in the voting system and judging panels. The 18th edition of The World’s 50 Best Restaurants will be unveiled on Tuesday 25th June in Singapore. Wouldn’t you like to play a human snack claw machine? We would! And what we also like to try is the McFalafal, but you can only get it in Sweden at this moment. And how about a scoop of Hellmann’s Mayo ice cream, would you fancy that? The demand for natural and healthy food is increasing. At the same time it is ‘hot’ to drink cocktails nowadays. These two trends come together in the new ‘Be-Mocktails‘ or while the ‘natural mocktails’. These mocktails are 100% natural and alcohol free. The ingredients are specially selected on their health promoting effect. YouTube has been a source of inspiration for spotting trends past few years. Every day, thousands of movies are uploaded with new and interesting content. We too sometimes use videos as a source of inspiration to write about. With this week again a selection of videos which Vera Rauwerda thinks are cool to watch. Among other things, a video about 22 sustainable initiatives for a cleaner world, the reason why koi fish are so expensive and several facts about salmon that you didn’t know! Another hotel that plays with the social media addiction of many guests today! On 14 February guests of the ‘Check Out Suite’ have the chance to experience a unique hotel stay at Hotel Bellora in Gothenburg, Sweden. There’s only one condition – you need to put down your screens. They introduce the world’s first hotel room where the price is set according to how much you browse the web. Less browsing and more hanging out equals a better price. So, check-in, and then check-out! They want to encourage people that are staying in the hotel to spend more time together and less time looking at the phone screen. The Check Out Suite is an exciting concept that challenges our online behavior and incites us to spend more time together. Unfortunately the registration date has expired! Great way to increase your brand awareness! Although the International Women’s Day is celebrated on Friday the 8th of March, two of the world’s greatest chefs Anne-Sophie Pic and Clare Smyth will prepare and host a dinner in honor of it on Monday 11th March. The dinner will be held in restaurant ‘La Dame de Pic London’ at the Four Seasons Hotel London. Guests will be welcomed to celebrate women working in the restaurant industry. A great example for other female chefs! Why not celebrate the International Women’s Day 2020 with these kind of dinners or lunches to ask attention for women in the restaurant industry? Collaborate with other female chefs and you could even invite speakers about related subjects. To reach more people you might even start a new contest and choose for example ‘the female restaurant owner of the year’. A new location for citizenM, they opened in one of the most up-and-coming business areas of Shanghai: Hongqiao, in the Minhang District. Concrete designed the interior of the freshly built 303-room citizenM hotel. It’s the brand’s second location in Asia (after Taipei North Gate). It is also a second collaboration between citizenM, Shun Tak, China Resources with the creative direction by Concrete. Domino’s Pizza is ‘Paving for Pizza’ in the USA | Don’t let bad potholes ruin good pizza! We missed this initiative by Domino’s Pizza from June last year up to this morning but for once we don’t really mind. This way we can check whether this is just a media stunt or that they’re actually ‘paving for pizza’. As their press release back in June said; “Domino’s is saving pizza, one pothole at a time”. Cracks, bumps, potholes and other road conditions can put good pizzas at risk after they leave the store. Domino’s was hoping to help smooth the ride home for their freshly-made pizzas. Started June last year, Domino’s asked customers to nominate their town for pothole repairs at Paving For Pizza. And as we recently visited the states Florida and New York in the USA we noticed the terrible conditions of the road, so a great campaign by Domino’s Pizza. This week, among other links to articles about the culinary development in the East of Europe according to Michelin and would you eat squirrel? Furthermore, a link to an exhibition about manhole covers in Tokyo and a new platform foodies should definitely check out, maned Njomly! And London has the first underground farm, the Growing Underground! By the way would you like to eat a polenta dish right from the table? YouTube has been a source of inspiration for spotting trends the past few years. Every day, thousands of movies are uploaded with new and interesting content. We too sometimes use videos as a source of inspiration to write about. With this week again a selection of videos which Vera Rauwerda thinks are cool to watch. Amongst them a video about the real wasabi and why it’s so expensive. Have you ever heard of the Italian Casu Marzu? It seems to be the most dangerous cheese to eat! This video shows the distasteful process of the making! And a video about an incident at the exam of master sommelier exam in the USA, the highest achievable sommelier certificate. During the Dutch hospitality event ‘Horecava’ in January, the co-owner Ron Simpson of the famous Dutch restaurant ‘The Avocado Show‘ introduced a new product ‘Avocado Fries’. Great asset for your snack menu! ‘The Avocado Show’ is going to sell the avocado fries, where Salud Foodgroup Europe BV, European market leader in frozen avocados, provides the distribution. Baked in front of your eyes by a robot, the BreadBot makes bread that is fresh, healthy, preservative free and eco-friendly. The BreadBot from the Wilkinson Baking Company mixes, forms, proofs, bakes and cools bread all on its own. The Wilkinson Baking Company debuted the BreadBot last January at the CES (Consumer Electronics Show) in Las Vegas. This robot baker, a machine that goes from flour to loaf all on its own, harnesses the marvels of modern technology to take us back to the old world with its artisan bread that is tasty and nutritious. We start seeing more and more robot-like machineries in the hospitality industry and retail, like for example ‘The Creator’, a start-to-finish fully automated preparation process to create gourmet burgers. The BreadBot is a new example of this development. Imagine a BreatBot baking fresh buns in your hotel lobby! This week, among other links to articles about the fact that the owners of Eleven Madison Park in New York will open their first restaurant in London, Davies & Brook at the Claridges’s Hotel and about Stixfresh sticker, which increases the freshness of fruit. Also a link to one of the most Instragrammable chapels in Las Vegas and Ferran Adrià will reopen his famous restaurant El Bulli: not as a restaurant, but also as a knowledge center elBulli 1846. Other news for foodies: great images of the plates at the Bocuse d’Or 2019 the team of Denmark won! And we have read a Dutch article about TerraCycle that is eliminating the idea of waste by recycling the “non-recyclable”. In 2020 the Hard Rock Hotel Amsterdam American will open and today, February first, a dog restaurant will open in Antwerp! Also in this list of links: gravy candles from KFC and Howard Schultz, former CEO of Starbucks, is exploring an independent 2020 presidential bid. Last week the printing of ‘De Vergaderfabriek’ (the Meeting Factory) started, under great interest from the press. They symbolically placed a time capsule in a cavity of the first 3D printed concrete wall of ‘De Vergaderfabriek’. The time capsule contains letters aimed at the future and which will be opened the moment the building will be recycled in the future. De Vergaderfabriek is located in Teuge, the Netherlands. In Europe it will be the first commercially built 3D-printed building. The building is designed by Pim van Wylick from The Form Foundation. Sometimes you just want to be somewhere else when hearing stories or seeing pictures from others. For example, right now we would love to be in New Zealand to enjoy the summer and the nature but also to try the food at The Chef’s Table at Blue Duck Station. Our former colleague Nynke Bijstra currently works at the pop-up restaurant and has sent some pictures. Here you will experience pure and unique ‘fine dining’ under the stars of Blue Duck Station. The pop-up restaurant is located on the highest point of the station and offers an amazing view over the Tongariro and Whanganui National Parks. The pop-up restaurant already opened its doors on the 11th of January and closes on the 9th of March 2019. Coming winter (in New Zealand) a restaurant will be built on the exact same location which will open its doors summer 2020. If you are by any chance in New Zealand before the 9th of March or in the summer 2020, you could choose to enjoy a 10 course dinner by chef Jack Cashmore at this spot. He worked at different restaurants in Europe, like for example restaurant ‘In de Wulf’ in Belgium. It must be a unique experience, a 10 course dinner at The Chef’s Table at Blue Duck Station! The unique design of SPINE Rooftop bar Beirut in Lebanon focuses on the sky. The design was conceived on the idea of ​​avoiding the attributes of the roof design, usually aimed at walls or floors, and instead using an upward-aesthetic lighting structure. ”I wanted to animate the air and the structure merged with the landscape”, says the designer Gregory Gatserelia. The lounge, located at one of the highest buildings at Naccache Seaside Road, G1 Building, opened its doors in June 2018 and is now one of the hotspots in Beirut. This week, among other links to articles about the Japanese tama konnyaku ‘screaming’ balls and about the Instagrammable ‘The Knot Churros’ in London. In Paris, an Eataly will open in the coming spring and an interesting article on how our eating habits and times evolve. And in addition to that about reading books in the Happy Meal of McDonalds in the Netherlands and an interesting post by René Redzepi on Instagram in which he will show how they deal with diets and allergies at Noma. Starbucks will start delivering in America via Uber Eats and have you ever eaten a Japanese-Italian mash-up dish like Karaage Tortellini? It’s Happyhappy tea time! From the 14th of February you can book your Asian High tea at Happyhappyjoyjoy in Amsterdam, an colourful Asian streetfood hangout. During the high tea you’ll be able to enjoy a bamboo basket full of carefully selected Asian sweet and savory bites including a hot pot of Jasmin tea to share. This week, amongst others, a link to an article about a great marketing example from a new designhotel in Eindhoven, The Match. Here you’re advised to ‘check in and stay out’. Links to articles about the sustainable exotic Kudadoo Island Resort at the Maldives and about a Culinary Agenda for January. Inspiration from London, with a great collaboration of Indian restaurant Bombay Bustle and a yoga institute. And are you a pizza and game lover? Then you must play the Monopoly Pizza Game! YouTube has been a source of inspiration for spotting trends the past few years. Every day, thousands of movies are uploaded with new and interesting content. We too sometimes use videos as a source of inspiration to write about. With this week again a selection of videos which Vera Rauwerda thinks are cool to watch. 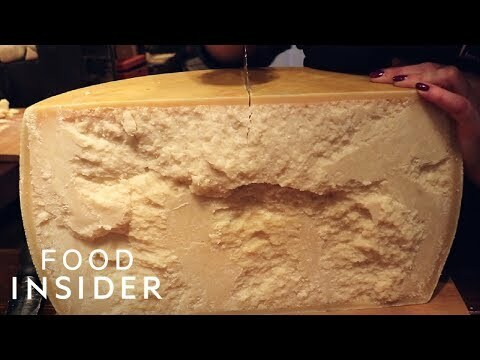 Amongst them a video about Parmesan cheese, why is this cheese so pricey? Also a video about white-gold caviar, a rare and expensive product which is only made in Austria. 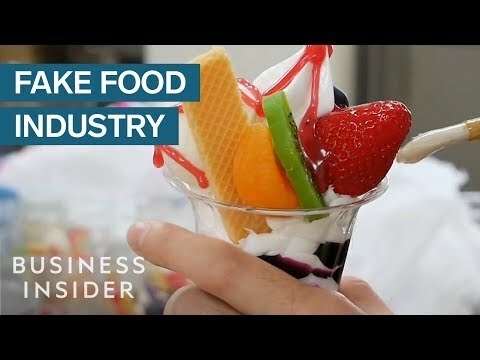 We already wrote about McDonald’s Next in the past but Vera found a great video about this concept. Starbucks Reserve Roastery New York | With the first Arriviamo™ Bar in the U.S.
Starbucks Reserve Roastery New York opened in Meatpacking District where the company’s rarest and freshest coffees are being roasted and served. For the first time in the U.S., Starbucks introduced the Arriviamo™ Bar, a cocktail bar in the Roastery featuring a curated menu of coffee and tea cocktails. Next to the cocktails you can enjoy a unique menu of Starbucks Reserve specialty coffee and Teavana tea as well as freshly baked artisanal food from boutique Milanese Princi™ bakery.